Well, it's been a long week, Houston. First, let me emphasize that I have fared much better than others these past seven days. Our house sustained extremely minor damage and we have the means to make repairs fairly quickly. I am blessed a thousand times over. Many, many others are not so lucky and their road to recovery will be longer and far more arduous. September is my birth month and I had planned already to do a round-up of my favorite foods found in Houston in the form of a "baker's dozen." I am particularly fond of this measurement unit because baked goods are almost always involved in its application. Also, any sort of culinary lagniappe charms me. In the aftermath of Harvey, calling attention to Houston's restaurants and their comestibles, even if through the selfish lens of my birthday, seems all the more important. So, here we go. 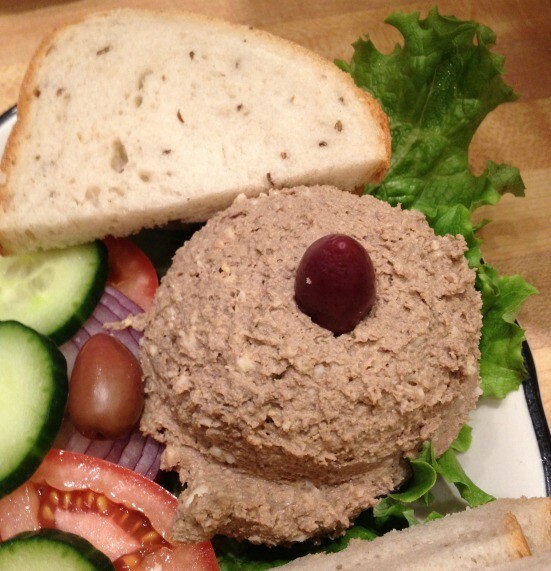 I have written extensively about my adoration for Kenny & Ziggy's chopped liver, which I should, if I were a proper lady, spread neatly on the accompanying slices of fresh, chew rye bread. But I'm not a proper lady, thank God, so I eat it by the spoon, often straight out of the takeout container. I did so, in fact, last night and once again marveled at the marvelous earthy, peppery flavors and creamy texture. Pick up a pound from their deli counter and prepare for organ meat bliss.